Jeremy leads a team that supports Barnum Financial Group and guides advisors to develop personalized wealth management plans and innovative solutions to meet their current and long-term goals. 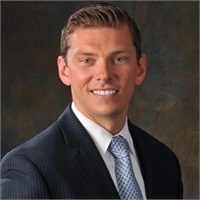 Jeremy earned the designations of Chartered Advisor for Senior Living, Chartered Financial Consultant®, and is a CERTIFIED FINANCIAL PLANNER™ professional. He holds a degree in economics from the University of Connecticut.